Cosmetic dentistry is tremendously powerful. If you are unhappy with the appearance of your smile, cosmetic dentistry can give you the beautiful, healthy smile you desire. Stained teeth, crooked teeth, chipped teeth, even missing teeth can be made beautiful and whole. No matter your cosmetic goals, cosmetic dentistry can help you achieve them. If you are unhappy with the appearance of your smile and are looking for a cosmetic dentist in The Woodlands, or Houston to help you get a smile you will be happy to share, please call 832-610-3123 today for an appointment with Dr. Scott Young at Scott Young, DDS. You might think that cosmetic dentistry is frivolous, a vanity that isn’t worth investing in. But the truth is that the appearance of your smile is one of its vital functions. We use our smiles on a daily basis as part of our normal social interactions, whether we’re meeting new people or reaffirming connections with old acquaintances. And your smile plays a vital role in both personal and professional interactions. A dentist who doesn’t take the appearance of your smile into account is only doing half their job. They might make your tooth free from disease, pain free, and functional for chewing, but unless they address the appearance of your smile, they’re only doing half their job. All good dentists are cosmetic dentists. Fortunately, cosmetic dentistry can fix all these problems and more. In fact, we usually have multiple ways that we can address each of these complaints. Teeth that are discolored because of staining foods and beverages usually respond very well to teeth whitening. Teeth that are discolored deep within may not respond to teeth whitening, but they can be transformed with porcelain veneers to make them beautiful and white again. Minor chipped teeth can be repaired with either dental bonding or porcelain veneers. Veneers provide better cosmetic results and last longer. Teeth that are structurally compromised will have to be repaired with a dental crown. Sometimes, a root canal is recommended first. Root canals protect the tooth from infection and allow it to remain healthy and functional. If you have small or poorly shaped teeth because of developmental conditions like peg laterals or retained baby teeth, porcelain veneers may be used. Dental crowns are recommended if your tooth needs more structural reinforcement. Gaps between teeth can sometimes be corrected with orthodontics, but if the rest of your teeth are straight and well-spaced, dental bonding or porcelain veneers can close the gaps by reshaping adjacent teeth. An attractive smile has a good balance of gums and teeth. If your gums are taking up too much of your smile, we can use gum recontouring to allow more of your pearly whites to show through. On the other hand, if your gummy smile is related to small teeth, porcelain veneers and dental crowns can be used to build up your teeth. Missing teeth create an unsightly gap in your smile, but we can repair that gap with dental bridges or dental implants. Of course, many people have multiple things they’d love to improve about their smiles. This can be done with a custom smile makeover that may include several different procedures. You don’t need to know what procedures you need, you just tell us what you want your smile to look like and we’ll design a smile makeover for you. We can even give you multiple options so you can choose the procedures that best fit into constraints like budget or treatment time.  To get your smile makeover or cosmetic dentistry process started today, please call 832-610-3123 for an appointment with cosmetic dentist Dr. Scott Young at Scott Young, DDS.